When it comes to winning a game of basketball, there is clearly a lot of focus on the key players on the court. Sometimes games are won and lost through a moment of magic or a slip-up which would normally not happen. These are the big moments that everyone sees and which get the headlines when it comes to post-game reviews and analysis. However, many games are not won and lost through an individual moment; a lot of games are won by hard work, effort and great planning and strategies. You may think that the big teams win more often than not because they have the best players, but it is often overlooked that these teams will often have the best coaches as well. When you think about how many European basketball teams there are, and how many of them start the campaign with genuine hopes of reaching the Euroleague Final Four, it says a lot for the four teams that take their place in the event. Next week in Madrid, four teams will be taking part in games on Friday the 15th of May, and there will be a great deal at stake. The big name players in European basketball will be ready to pit their wits but at this moment in time, these players are resting while the hard work is being done by the coaching teams. 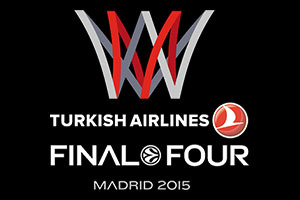 This is why we take the time to look at the four head coaches involved with the 2015 Euroleague Final Four. As the coach of the team playing at home in the Final Four, there will be a great deal of pressure on Pablo Laso but if you are the coach of Real Madrid, you get used to dealing with pressure. This is the team that is the most crowned in the history of European basketball and Laso has handled himself very well in his four years with the club. Laso has taken Madrid to the Championship game in the last two seasons and this will be Madrid’s third Final Four in a row. In this time, Real Madrid have clinched 80 wins, the second highest of any coach in the tournament and the only thing that is left for Laso to achieve is to actually win the Euroleague Championship and there would be no better place to achieve this than on home soil. The nature and style of play under Laso has been impressive with Real Madrid playing with speed and athleticism. They know how to score points and no other Euroleague has outscored them in the time that Laso has been in charge. 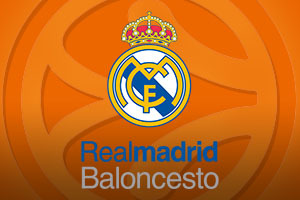 As a player, Laso developed a big pedigree and he is a natural fit as the coach of Real Madrid. As a player with a 19 year career, Pablo Laso retired holding the accolades of being the all-time leader in assists and steals in the Spanish league. He played for 11 years with Saski Baskonia, now known as Laboral Kutxa Vitoria, and Laso won the Spanish Copa Del Rey in 1995 while reaching Saporta Cup Finals in 1994 and in 1995. He was with Real Madrid for two years, reaching the Final Four of the Euroleague in 1996 and clinching the Saporta Cup the following year. Laso also follows in the footsteps of his father, Pepe Laso, who was a coach in the Spanish top flight in the 70s and 80s. Real Madrid haven’t won the Euroleague in 20 years but now would be the ideal time for them to do so again and they have the right man at the helm to give themselves a great chance of doing so. You could look at the fact that this is the first season that Dimitris Itoudis is experiencing as a head coach in the Euroleague and conclude that he will be a man under pressure with no knowledge of the pressure that the end of season games bring. Then again, the fact that Itoudis has enjoyed 13 years as assistant coach at Panathinaikos Athens and has helped the club bring in a lot of silverware should dispel you of that notion. During this time, the Greek side picked up 5 Euroleague titles, 11 Greek titles and 7 Greek cups. Yes, in 13 seasons the team picked up 11 titles, so if you are looking for a coach that knows how to dominate a basketball league, he has all the experience you could be looking for. There is also the fact that with a 25-3 record behind them, CSKA Moscow have shown themselves to be an excellent team this season. It wasn’t always easy to achieve this record, the Russian side have been missing a few key players at various points but there has virtually been no stopping the Russian side, and their fans will be praying that this remains the case over the next couple of weeks. CSKA Moscow have been a hugely offensive team this season, with a 106.9 average performance index rating, a rating which is listed as the second best of all time. They rank highly with respect to three pointers, assists, points per game, three point shot accuracy and assist to turnover ratio, which means that Itoudis is clearly doing something right with his team. Itoudis stopped off in Turkey helping Banvit Bandirma to win the 2013/14 season before moving on to CSKA where he has serious ambitions about lifting the Euroleague title. When it comes to coaches who are synonymous with the Euroleague and the Final Four, it is hard to overlook the impact of Zeljko Obradovic. Obradovic has the best record for any coach in the tournament, having led a team to triumph on 8 occasions, which is double the record of the next coach, and this is the case when you take the history of the tournament dating back to 1958. If you focus on the Final Four, which began in 1988, the fact that Obradovic has appeared at this stage 15 times (which includes one appearance as a player) is remarkable. He is the only coach who has taken four different teams to the Euroleague title and he is the first coach to have taken six different Euroleague teams to the Final Four. The man made his name in his first season as a coach, taking Partizan all the way to a Euroleague triumph and he has barely stopped winning since. He won in 1994 with Joventut Badalona and the following year he tasted success with Real Madrid. He also managed Panathinaikos Athens to Euroleague glory in 2000, 2002, 2007, 2009 and in 2011. Obradovic has twice been named the Euroleague Basketball Alexander Gomelskiy Coach of the Year and if he achieves success in Madrid in May, he would be a massive contender for a third title. 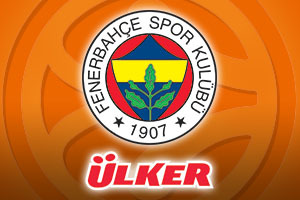 If he were to guide Fenerbahce to a triumph, it would be the club’s first. One of the biggest indicators of Obradovic’s success is that two of the other coaches in the Euroleague have been greatly shaped and influenced by him. Pablo Laso won the Euroleague as a player under Obradovic with Real Madrid and the CSKA Moscow Itoudis was the assistant for 13 years at Panathinaikos. 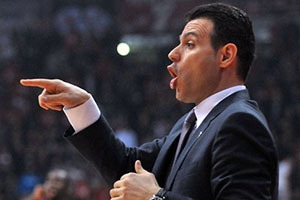 Giannis Sfairopoulos may be the most inexperienced of the coaches at this Final Four, he has only 25 games of Euroleague experience behind him, but the job that he has managed this season means that he is a worthy contender for the title. You only have to look at the way that Maccabi Electra Tel Aviv shocked everyone last year to know that you cannot take things for granted in the Euroleague. Another thing that is true in the EUroleague is that if you have a strong defence, you always have a very good chance of winning and this is the case with Olympiacos Piraeus this campaign. Giannis Sfairopoulos came in after the start of the season but he has developed a team that defends well, and he has a chance of being the first head coach this century to win this trophy in their first ever Euroleague season. Sfairopoulos has over 25 years as a coach but it is only his seventh as a head coach. As an assistant he has been at Olympoiacos before and with CSKA Moscow but as a head coach, he has had five years in Greece with three at Kolossos Rhodes and two with Panionios Athens, and in every season, he led the teams to the post-season in the Greek league. 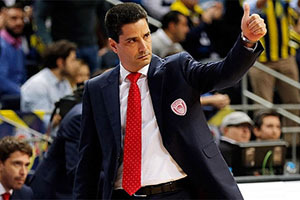 He may have bittersweet Euroleague memories of Olympiacos, he was at CSKA Moscow as assistant when Olympiacos clinched the title in the last second but he now has a chance to turn this around this year. There has only been one Greek coach who has won the Euroleague up until now but Giannis Sfairopoulos could make it two before June rolls around.